Made in the USA 1982 Allsop Inc. Specially designed anti-static mat stabalizes the record for proper cleaning off the delicate turntable and then conveiently folds into its storage compartment. Anchored to the record’s center, the patented dual disc cleaner is rotated around the record surface. 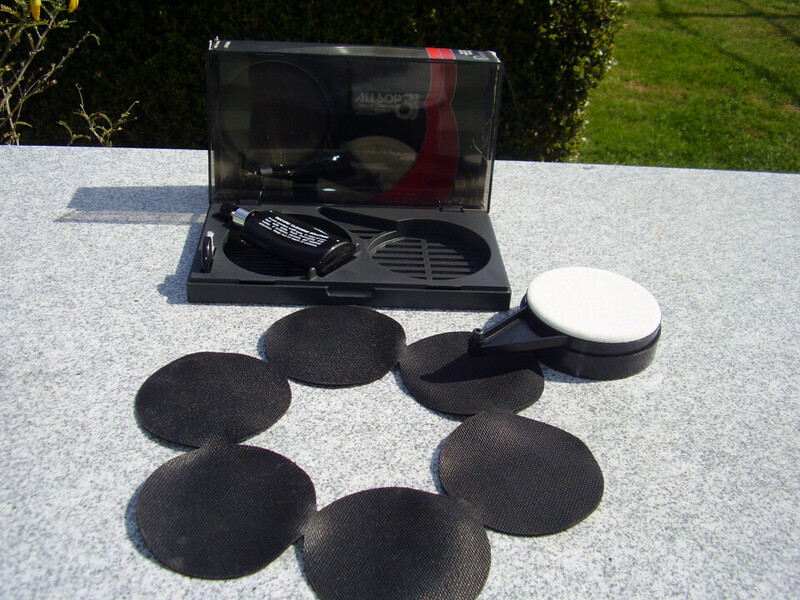 The ultra-soft fibers of the cleaning pad remain perfectly aligned with the record’s grooves to safely remove impurities from deep within each and every groove. Complete in original packing box with instructions.